Poker is one of the most popular casino games in the world and there are huge wins on an almost daily basis. The card game is accessible at both land-based establishments and online, virtual casino environments and there are numerous variations of poker available – with both of these factors appealing to the masses. 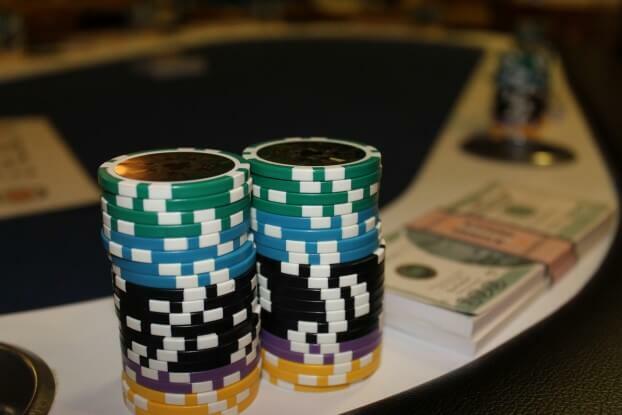 Without a doubt, poker is the primary card game in the casino – it’s not just for the super rich. However, the colossal wins are the ones that always get attention in the media and with good reason. Here are three of the greatest poker victories of all-time. In 2012, Antonio Esfandiari – a professional poker player known across the world – won over $18 million at the WSOP Big One for One Drop event. This victory was the largest individual win in poker history and may stand for many years to come. Although tournaments are getting more and more competitive, the majority of prize funds fail to reach $1 million. Esfandiari has made his name all over the globe and is widely regarded as the greatest player on the planet. Although there are plenty of great names in the world of poker, the Iranian stands alongside Daniel Negreanu as the leading stars in the game. ‘The Magician’ has been on the scene for quite a while now but shows no sign of giving up the ghost and regularly enters major tournaments all over the world. Daniel Colman made his name throughout 2014 as he climbed up the world rankings after a number of big victories. At just 24 years old, he’s one of the best players in the world and will only improve as he gains more experience at the top level. As of July 2015, he had earned over $24 million from live competitions – including $15 million in the Big One for One Drop event at the 2014 World Series of Poker. Colman defeated Daniel Negreanu in the final of the competition to claim the $15 million jackpot and amateur poker players could learn a lot from his body language and mind games throughout the encounter. Simply by assessing Colman’s aura, you could learn and practice tricks at mobile casinos such as SmartLive Gaming and, with a bit of luck, you too could be entering major competitions and winning colossal jackpots in the future. Unlike the previous two, Christian Pham’s story is spectacular for reasons other than the sheer size of his winnings. Pham won the World Series of Poker No-Limit Deuce-to-Seven Lowball Draw in Las Vegas in June but didn’t realise that he had accidentally entered the event. After forking out $1,500 for the privilege, Pham defeated over 200 other poker players – including a handful of professional stars – to scoop the top prize of $81,314.